Praxis Hires new VP of HR! 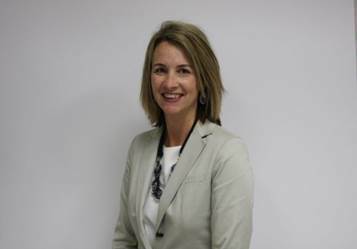 We are pleased to welcome Amy Saunders-Ferriell, Vice President of Human Resources to our team! She will be overseeing our Human Resources, Training and Safety initiatives. This is a new role which will allow Praxis to reach our growth and strategic initiatives that we have been working on. Amy has held a variety of roles as Nonprofit executive, Human Resources executive and strategist in the finance, healthcare, sales and nonprofit sectors. Amy is appreciated for her professionalism, creativity, and entrepreneurial mindset. She is very high energy and has a natural ability to lead and inspire people. Amy holds a Master’s Degree from Western Michigan University in Human Resources Management, she has her Senior Professional of Human Resources Certification, and is a Certified Myers Briggs Administrator. Amy and her husband stay busy with 3 teenage children and 2 dogs. In their spare time they walk, golf and eat!